I won't even go into the "these-cookies-are-good-for-you-because-they-contain-carrots" lecture. I love, love, love carrot cake. 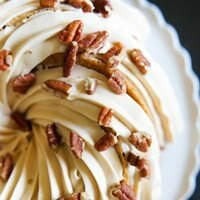 I'm a chocolate girl through and through, but I think carrot cake wins almost every time. 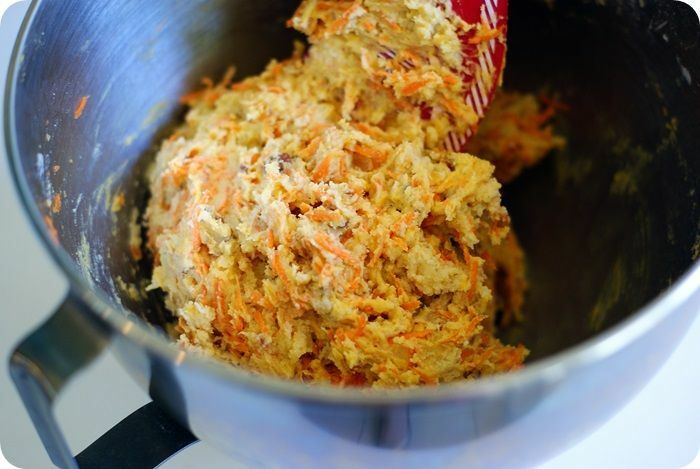 The carrots ensure its moistness, that little bit of spice makes it intriguing, and cream cheese frosting? 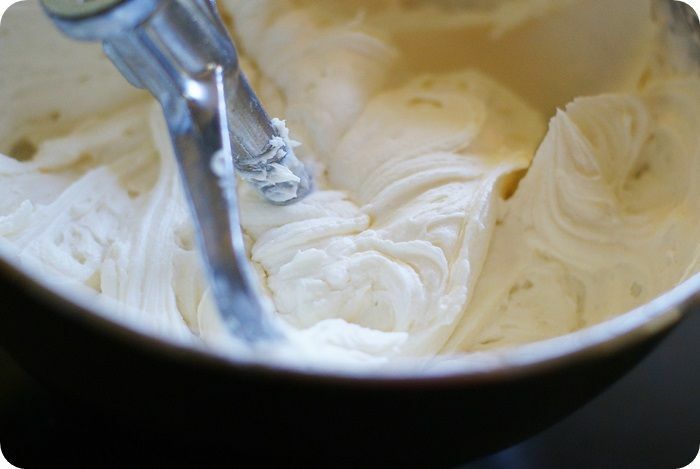 You really can't beat cream cheese frosting. ....which I could have easily eaten with a spoon without baking one single cookie. Pipe on generous squiggles of frosting. Heck, dunk the entire cookie in frosting...I won't tell. 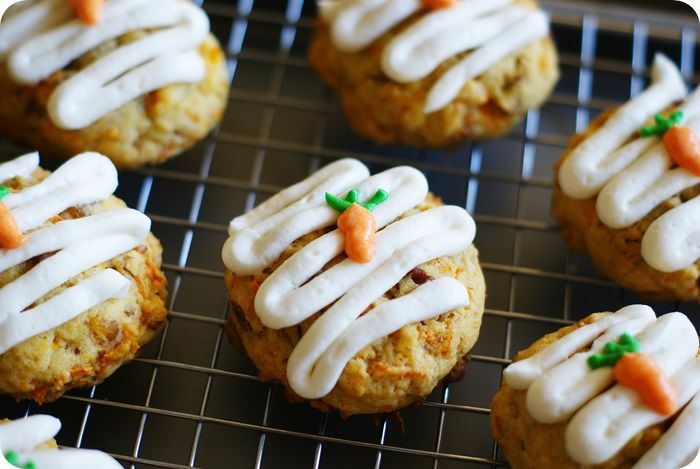 You've got a little carrot cake in cookie form. 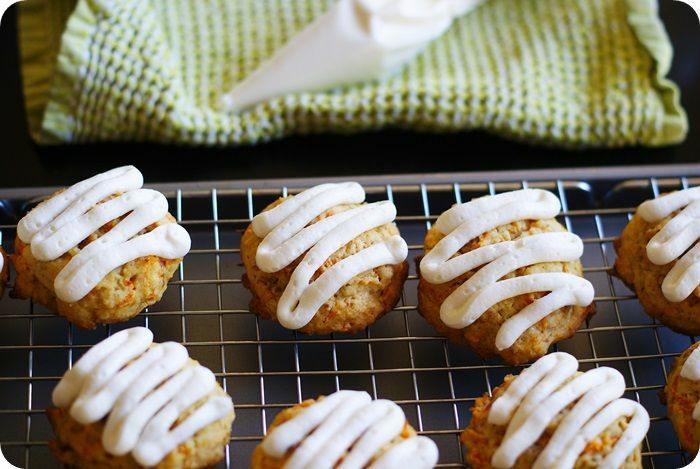 Big mounds of carrot and ginger-laden cookies, flecked with toasted pecans and topped with an orange-flavored cream cheese frosting. They come together really quickly and will be such a welcome addition to your Easter desserts. Oh these look SO delicious and so cute! Love them!! These look so good! And those tiny carrots are so cute! They don't need to be healthy ~ these cookies are perfect B! yes! I think I will be making these, I do have a question for transporting/finding the right darling serving platter purposes, is that frosting going to get hard? thanks! Yes indeed. Hopping over to check out the recipe! 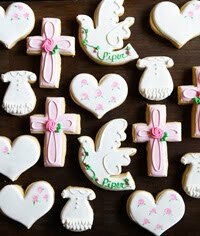 I'd love to make these cookies for Easter! Yum!!! How cute! 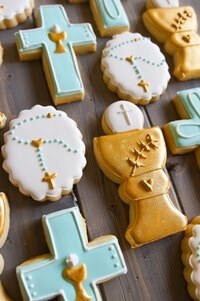 I love how you decorated the cookies! Adorable! These look suuuuuuuuuuper yummy! The little carrot that you piped on top is absolutely adorable! So utterly cute! They remind me of Panera's amazing carrot cake cupcakes. I'd say that carrot cake is among my favorite too! Can't think of anything better for Easter! So adorable! I love carrot cake too. And I love that I can eat 20 of these and pretend it's less calories than a slice of cake. yay!!! Such great looking cookies! 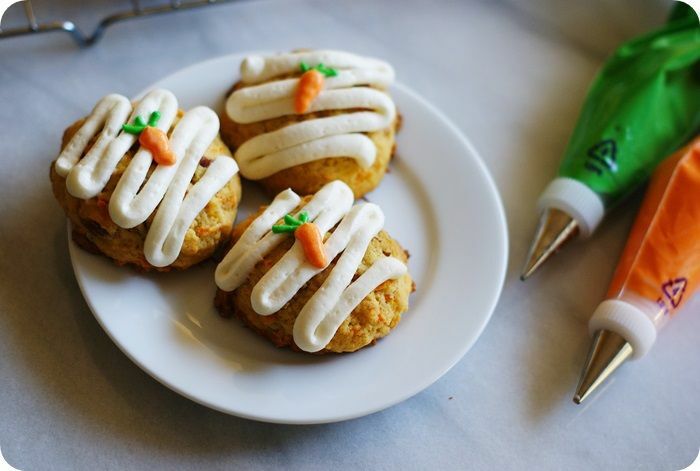 I love carrot cake so these would be perfect for me! Can you recommend a good way to package and give these? 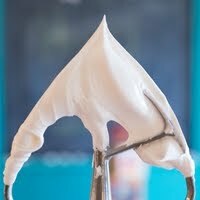 I'd love to make some for Easter gifts, but not sure how to package with the cream cheese icing. BRIDGET! This is BRILLIANT. And healthy. Don't even take the carrots-are-in-it excuse away from me. I'll take a dozen. Oh ... very, very nice. And yes, I'll count it as a veggie. 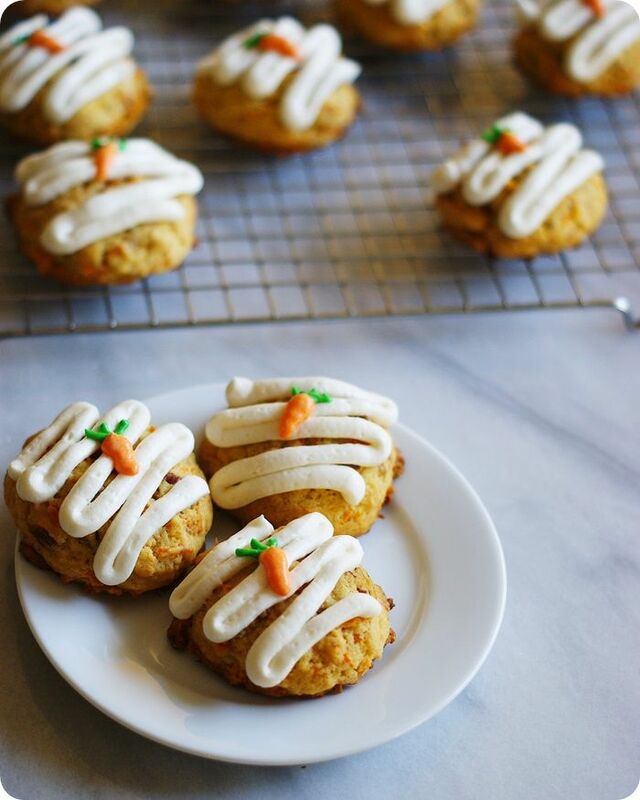 I love carrot cake (and cookie form is just plain genius), and I live for cream cheese frosting, but those itty bitty carrots on top just melt my heart. Too cute, and I bet they taste delightful!! These are adorable! I love any excuse to call a cookie a veggie! These sound so good. I was trying to think of something to make for my niece (we're visiting her at college this weekend), and I think we found it! I love the little carrot you piped on the top! What a great idea, esp to do w the kids! Those are so adorable! Perfect for Easter! I especially love the squiggle icing with the carrot on top. I LOVE these! They are just so sweet to look at and I'm sure they're as equally sweet to eat! These look AWESOME! 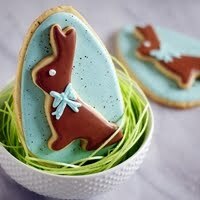 I can't wait to make them for Easter. 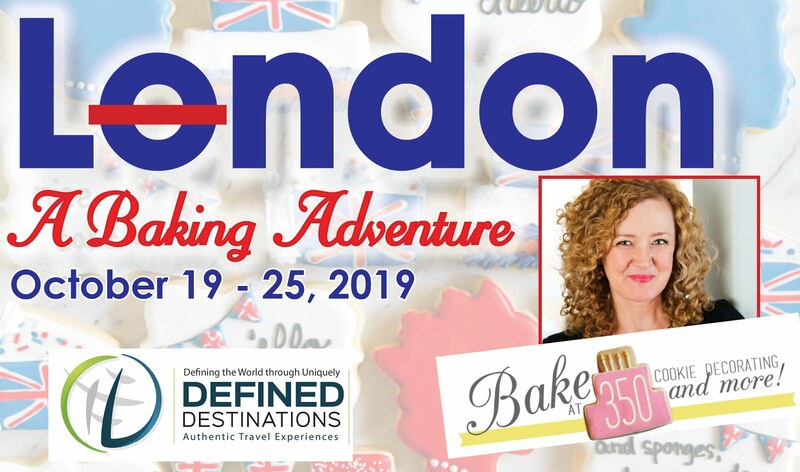 Could I substitute powdered ginger for the crystallized? Such a fun twist on a classic! Just wanted to tell you I made these for Easter over the weekend and they were an absolute HIT. Delicious recipe and great instructions, thanks for a fun but classic treat to serve friends and family. And I even did the little carrots on top! 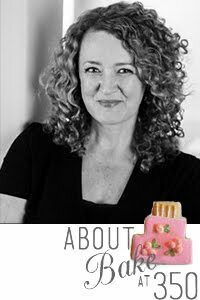 Love your blog, these look so good- just pinned them! Thanks for sharing! These look delicious! I love carrot cake. I've been in the mood to make some cookie sandwiches or whoopie pies. Yum!!!! I would adore these cookies and my mom is growing carrots right now so I can't wait to pinch some off of her and then share the cookies. hello! 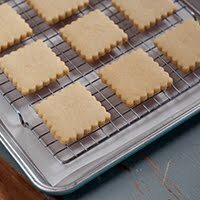 would you have an suggestions on how to do these as a bar cookie?? Great idea and I'm sure my kids will love this. Thanks for sharing!